When you first start chatting with a new client, one of the first things they’re going to ask for is a quote regarding your services. 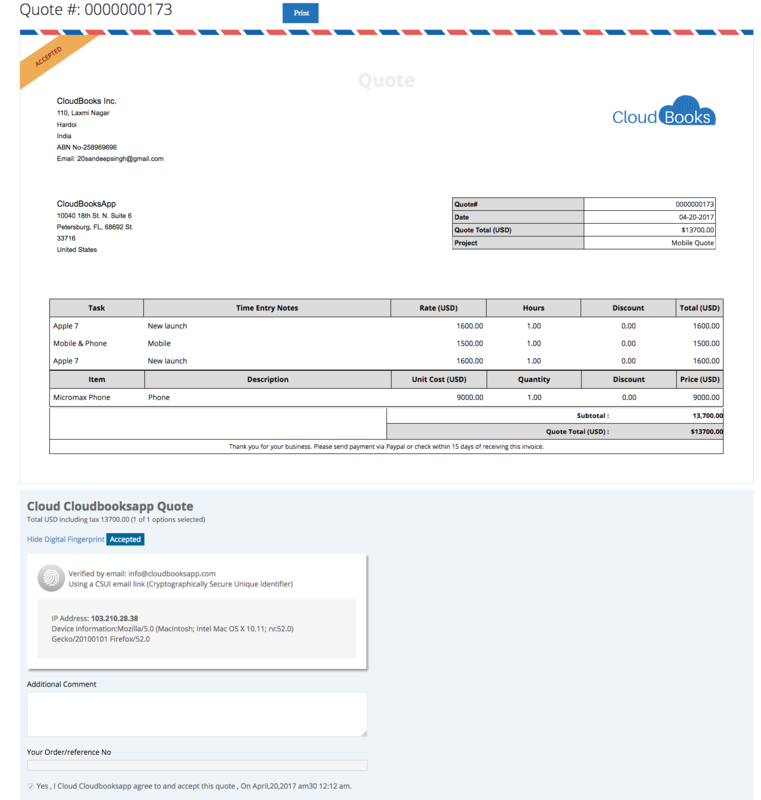 Creating and sending a quote has never been easier! We’ve found that the best method is to create a couple standard quote templates, all of which can be modified if you need to customize for a specific client. When creating a new quote, you’re met with a very easy to follow system. You have 3 options for adding pieces to your quote: Standard Quote Items, “Choose One” Options and “Choose Any” Options. Standard Quote Items are for items/services that the client must have. For example: if you have a certain travel radius and this project would require additional travel expenses, you would enter those as a Standard Quote Item. Anything the client has no choice on when working with you would go here. “Choose One” Options are for items/services that your client gets to choose between when working with you. For example: if you offer several different photography packages, you could create a different option for each package and your client would need to select only ONE of them to complete the quote. “Choose Any” Options are for extras, add-ons and are not required. For example: if you offer additional hours of photography, add-on albums, extended engagement sessions, etc., this is the perfect place to add them and your clients can select all, some or none of these when completing their contract. Is your brain swimming with all the possibilities yet?! CloudBooks is seriously loaded with everything you need to make your business work smarter, better, easier and faster for you, giving you back the time you’ve been spending on so many tasks by automating them and allowing you to put more time into focusing on the parts of your business (and personal life) that you love. New businesses pop up every day while thousands of businesses close shop too. Numbers are thrown around that makes it scary to start a business at all, but statistics shows there is a 50% chance a small business will survive its first five years. While 50% chance isn’t as scary as saying there is a 10% chance, there is still a lot of responsibility on a small business owner to make sure your business doesn’t become one of the numbers that fail. Running a small business can be challenging especially in the area of time management and funds allocation. As a small business owner that desires to grow, a lot depends on creating or finding efficient ways to get work done. Doing business requires way more than having brilliant ideas, there is the need to put up a structure that works, get the best out of your employees and make the most of your budget. Nobody said starting out will be easy, but there are things you can incorporate into your business for greater efficiency and productivity. If you have been sleeping on technology, then it is time for you to wake up and smell the coffee. Saving time and cost are goals for every small business that seeks growth. 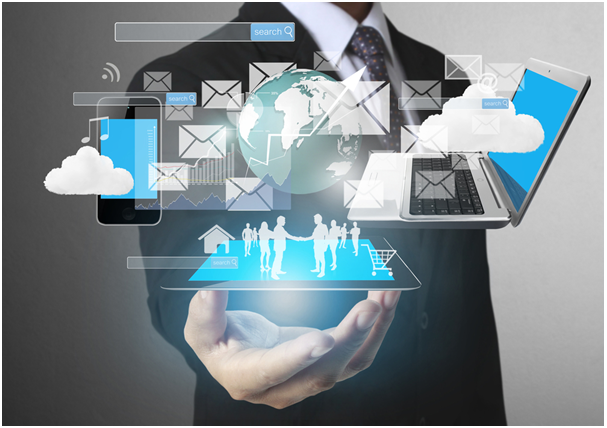 There has been a lot of advancement in technology in providing workplace solutions that guarantee excellent efficiency. Small businesses should look into tapping into the wealth of application software available for ease of business. Some applications can help you get the most out of your business without you over shooting an already tight budget. ● First, you need a good website. In today’s world, many people search the internet for services and products. As a small business, you do not want to risk missing all the advantages and traffic being found on the internet brings. Getting a good website should be top of your list. This is because you will be able to meet and attract customers that are far from your physical location. 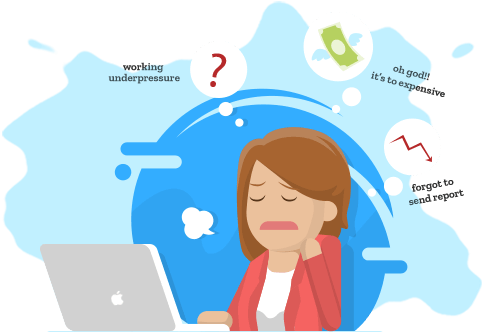 The entire process starts with finding a suitable domain name, but it doesn’t end there. Your website speaks volumes about your business, so it isn’t enough to have just a website, you must make sure it gives your customer a wholesome experience. This means you have to make sure the pages load very fast and the tools that get you connected to your customers such as live chat are incorporated. It is always good to talk to IT experts who can provide you with a not just a great website but great support to aid your business growth. ● Cloud Computing: Keeping an eye on your finances is tantamount to your survival. It is important always to have a balanced account to help you keep an eye on progress made. 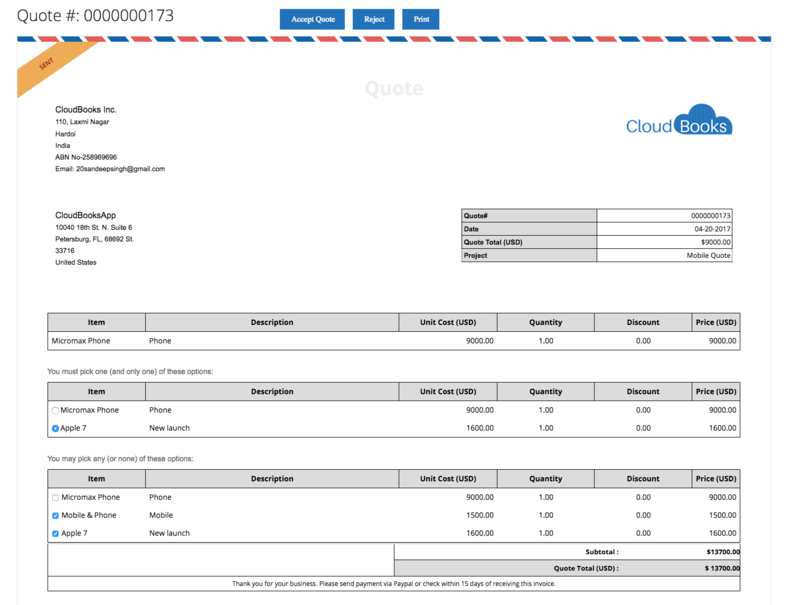 You can save yourself a lot of time and headache by using software like Cloudbooks which helps you quickly compute data on projects, staff salaries, contractors, invoicing, billing, time tracking and more. With these apps, you can easily evaluate your business just by signing on from anywhere and on any device. The apps have an easy to use interface which makes keeping your books so simple. This is set to increase your efficiency, and it is relatively cheap too. ● Cloud Storage: Data is very important, and you do not want to risk losing yours. The good thing about this is that all your data will be well backed up and safe from whatever form of disaster you may suffer. You also get to save a lot of money from not purchasing hardware that would have been used for the same purpose. Applications like Dropbox provide data storage options that are secure coupled with giving unrestricted access to your documents from anywhere. It is also at no added cost to you thereby saving you time and money. ● Social Media Applications: It is no news that social media is important for SEO. Having a great social media plan for client engagement and sales conversion is absolutely necessary. For increased efficiency, get the HootSuite application that keeps you abreast of all your social media accounts from one account. HootSuite provides a platform that makes it easy to plan your social media posts and campaign effectively without having to switch through different applications. This saves you the immediate cost and need for a social media manager too. ● Video Conferencing: Productivity is key. Technology has made meetings so much easier. You do not have to make a trip outside town just to ‘talk business’. You can pitch your ideas to intending clients through applications like Skype, Google Hangouts, etc. This also saves you time that could have been wasted on the road. You are also saved cost. Do not be caught unprepared; planning goes a long way in running your business efficiently. Make plans and put them into practice using any of these apps. Always be on the lookout for solutions that can help you make the most of your time and budget. Saving money is one of the hardest things to do when you are working. Bills take up the majority of your monthly income and saving money is made even harder with all the temptations surrounding you when payday comes, such as shopping, dining out and many more. Saving money and paying your obligations and treating yourself once in a while can be possible. All it takes is discipline. Avoid spending your money on things that will not be important in say, five years, such as the latest gadget or the newest pair of shoes. Also, when you pay your bills on time you avoid incurring penalties which you can add to your monthly savings. Be vigilant in keeping track of your due dates so you do not fall behind. These are just some tips on how you can effectively save while still keeping your monthly bills such as rent paid in a timely manner. This infographic that we devised will give you more useful tips to help you save valuable money each month. Here is the image. Read on and start saving!